The London Craft Beer Festival took place in 2014 at Oval Space, an arts and events venue in Bethnal Green, East London. Two friends, with a passion for craft beer, created the event with the intention of showcasing the very best from the UK craft beer scene. Dates for the 2015 festival have yet to be announced, but it promises to be another fantastic alternative to many of the traditional beer festivals the UK has to offer. 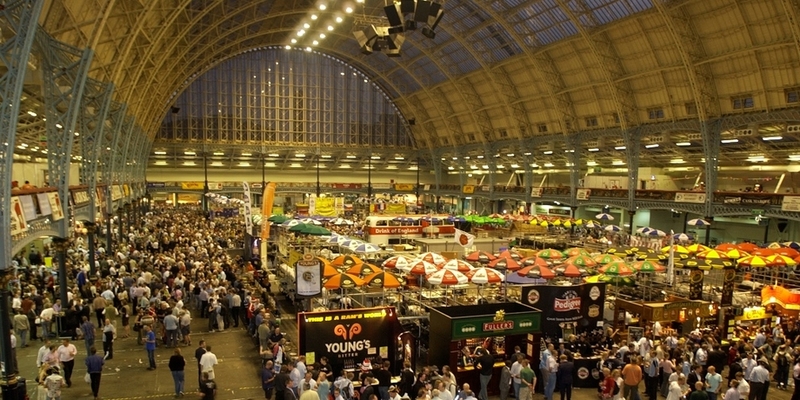 No list of beer festivals would be complete without the Great British Beer Festival (GBBF). This is the UK’s largest beer festival, run by the Campaign for Real Ale (CAMRA). It’s a celebration of all that’s British, featuring a wide range of beers brewed in the UK. It runs for five days during the summer, and is hosted at Olympia London. This is an essential festival for beer-lovers across the UK, and beyond! CAMRA is known to secure plenty of exclusives, such as the Greene King 12% 5X vintage ale, that debuted here in 2012. The 2015 event will take place between the 11th and 15th August – book your tickets early to avoid disappointment! For beer enthusiasts north of the border, the Scottish Real Ale Festival is not to be missed. The dates for 2015 have yet to be released, but it’s expected to take place during the summer in Edinburgh. This is another event organised by CAMRA volunteers, and is a fantastic opportunity to try the very best in real ales from around the United Kingdom. The 38th Derby Summer Beer Festival will take place in July 2015. It’s another 5-day festival, which takes place in Derby’s Market Square. The 2014 event was a great success, with fans of real ale flocking from across the country to attend. Keep an eye on the Facebook page to be the first to find out when tickets for 2015 go on sale. For those looking to travel a little further afield, the famous Oktoberfest in Munich is a truly unique experience. In 2015, beer lovers from across the world will meet in Munich’s famous beer halls to experience the world’s most famous festival. If you’re serious about beer, this event is certainly one to cross of the bucket list. Have you ever thought about being a pub landlord? Greene King have produced a beginner’s guide to becoming a pub landlord.